Checking the tyres on your car used to be something that was common place when filling up with fuel, or a routine people set every couple of weeks to check their own tyre pressures. But these days, as many younger people are more used to the ‘plug and play’ mentality, it is often neglected until it’s too late. Inspecting your tyres regularly is a simple process, which makes your car safer for both the driver and fellow motorists, and could save you incurring expensive repairs further down the track. 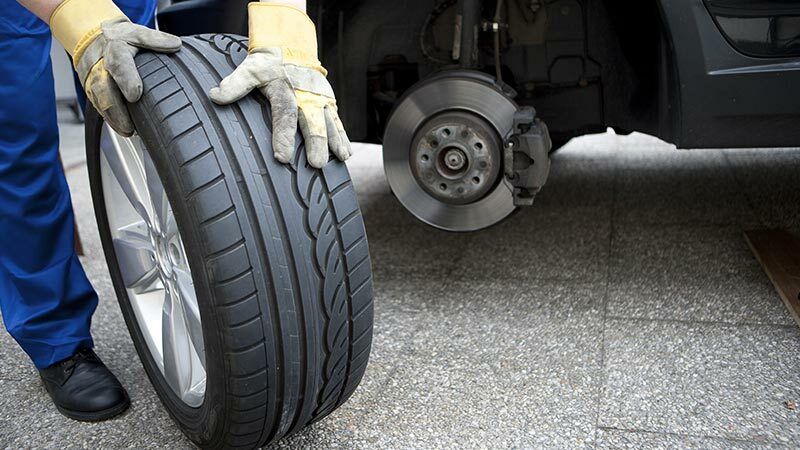 All tyres have what is called a ‘tread wear indicator’ located inside the tyre tread. It may be a little difficult to locate - most tyres will have an arrow or an icon molded to show you its position. It is usually in the form of a solid bar that runs through all the tread patterns on the tyre’s surface. The closer this bar is to the surface of the tyre, the more worn the tyre is. This bar is located approximately 1.5mm from the base of the tread, which is the minimum legal tread depth. If the bar is the same height as the tyre tread or lower, the tyre is un-roadworthy and requires replacing. There is no tread wear marker on the shoulders of the tyre, but a simple visual inspection will show the tread condition. To inspect the front tyres, turn the wheel to full lock, and inspect the tyre tread and condition. The rear tyres are a little more difficult, as you may have to squat down to inspect them. If the tread is low, or the shoulders of the tyre are smooth, it is replacement time. Australian roads can sometimes be rough and they are also littered with debris from road accidents that can cause expensive tyre damage. While you’re checking tyre tread for wear, also inspect the tread for any signs of damage caused by debris or poor road conditions. Inspect the sidewall of the tyre for any cuts, bulges or gouges out of the rubber, which could reduce the structural integrity of the tyre. If you find any damage, replacing the tyre is the safest option, as driving on the highway or at high speed with tyre damage could cause a disastrous and potentially dangerous blowout. Tyres naturally lose air pressure over time and need to be checked for correct inflation regularly to maintain good wear and fuel economy. Correct tyre pressure saves on fuel, increases road grip and prolongs the life of your tyres. Tyres that are under inflated by as little as 5psi can increase your fuel consumption by up to 7%, as under-inflation increases the friction of the tyre against the road and raises the rolling resistance. Carrying out these tyre checks at regular intervals will save you money in the long run, on both replacement tyre costs and fuel economy, and will ensure your car is safe for both you and your family. Right. AutoGuru lets you search, compare and book from over 1600 qualified mechanics across Australia. Boom!